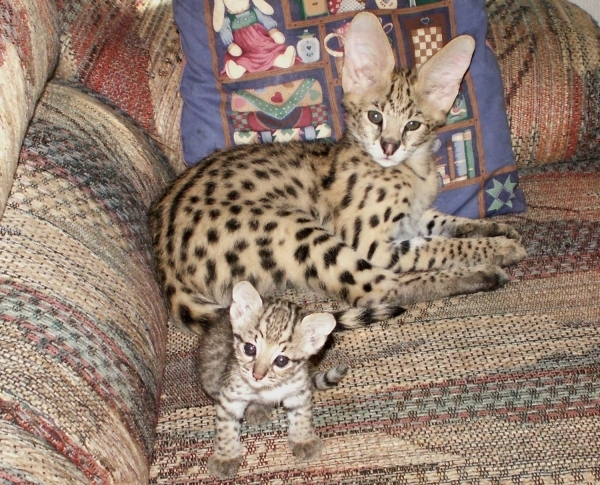 Felis serval: Bright gold with beautiful black spots, this 30 pound feline is native to Africa. Servals use their acute hearing to locate small rodents in the tall grasslands. 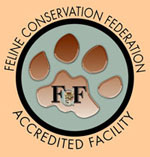 This flashy, mid-sized feline is often featured as an ambassador species in conservation education programs. 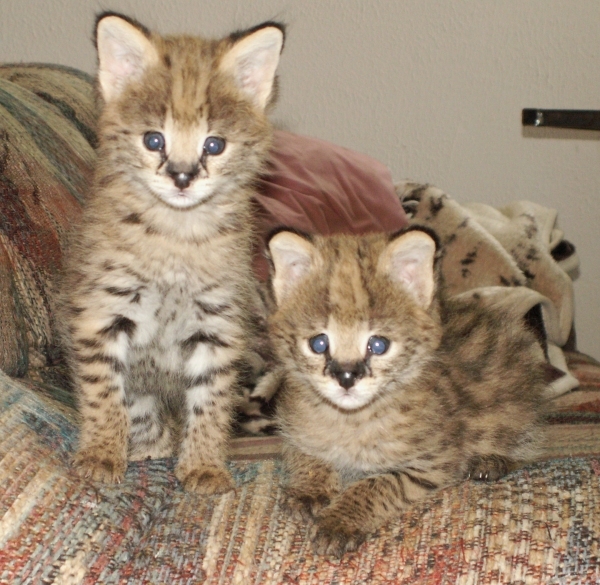 They are also one of the most commonly kept wild cat species for companion animal purposes. 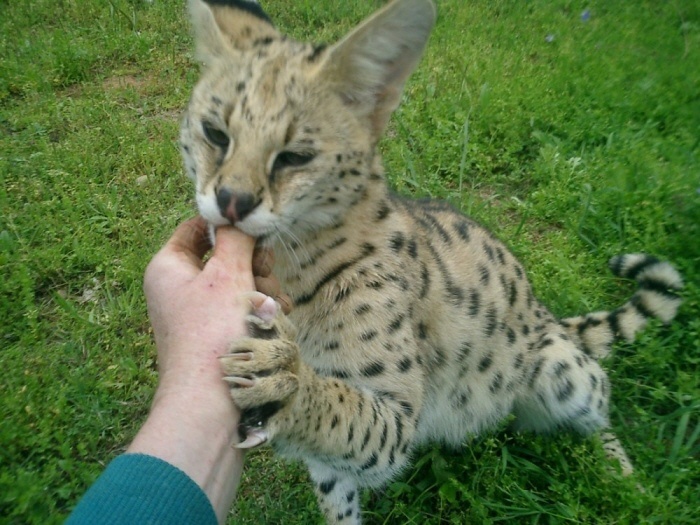 Servals are affectionate and enjoy interaction with their human keepers. They learn to play fetching games. They like to play in water, and will go fishing for minnows or gold fish in a tub or pool. 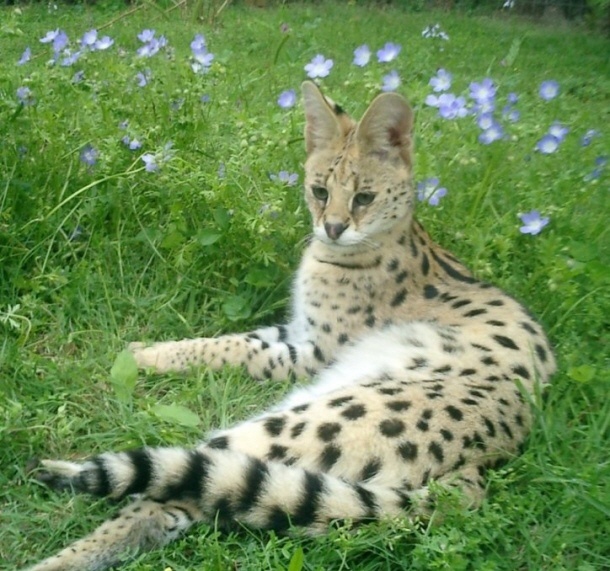 Servals are commonly fed chicken or turkey parts, beef, fish, deer, rabbit or squirrel, supplemented with vitamins and calcium. They also do fine on commercial exotic feline diets such as Zupreem canned, Mazuri dry, or Nebraska frozen diets. 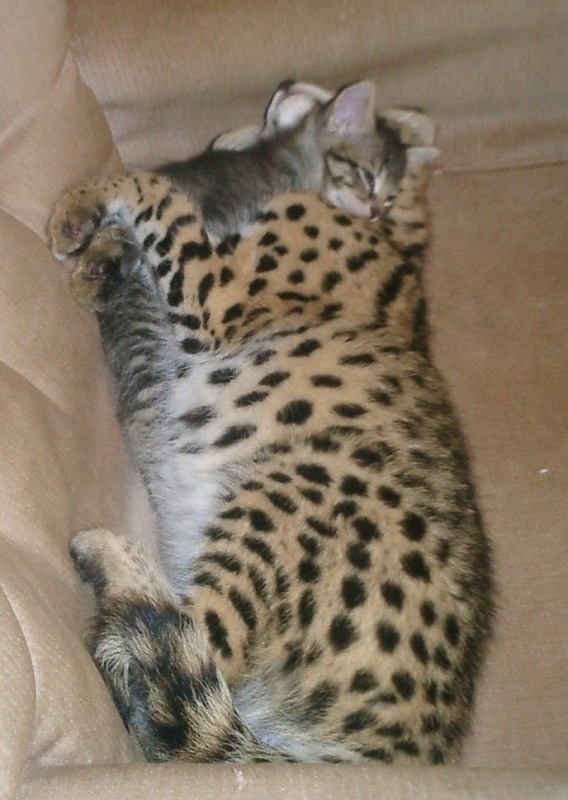 Servals can be raised in the home, but benefit greatly from an outdoor habitat. 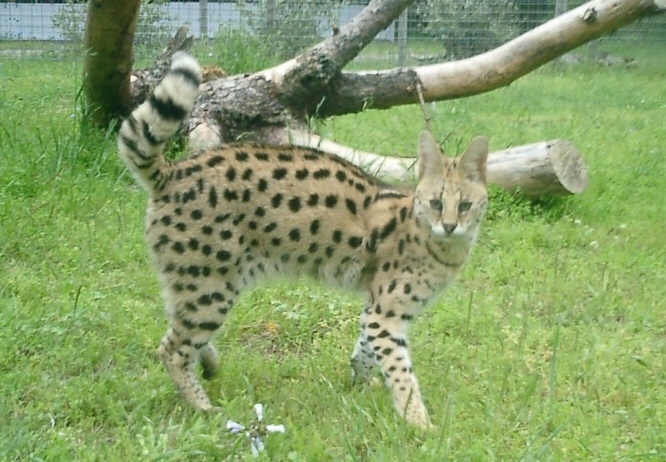 Servals, both male and female will develop scent-marking behaviors as they mature. Spaying and neutering will delay the onset, and reduce the frequency of this behavior, but there is no guarantee it will stop it. 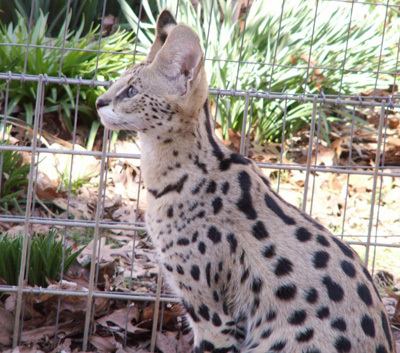 Therefore, potential owners need to prepare for this eventuality, and this is another important reason for constructing an outdoor enclosure for your pet serval.